New Hampshire Democratic Gov. 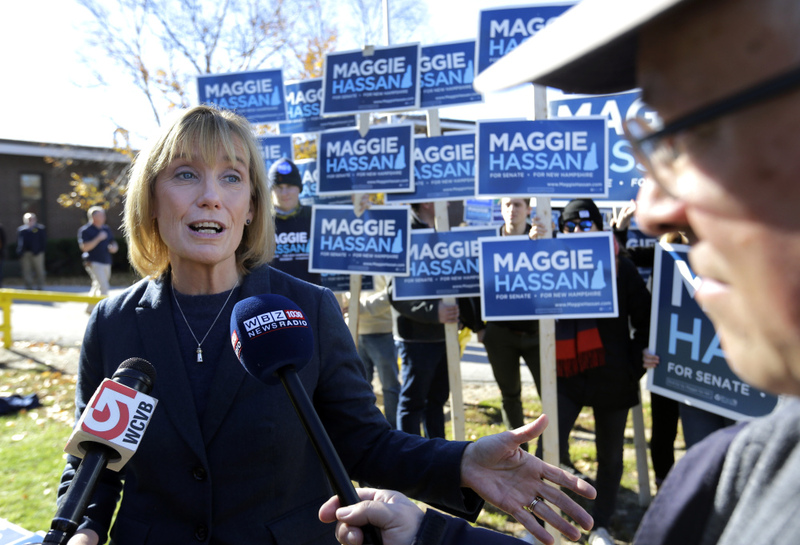 Maggie Hassan speaks outside a polling place in Portsmouth, N.H. on election day. Hassan is one of seven newly elected Senators.